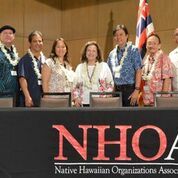 The NHOA Board of Directors is made up of seven (7) members. Each Director is nominated by an Association member and elected by a vote of the members. Each Director serves a term of three (3) years. There are currently four (4) officers of the Association who were elected by the Board of Directors to serve a term of two (2) years. The Hawaii-Pacific Foundation for Soft Power Solutions, Inc.